PRACTICE & PERFORMANCE: PRE-GROUPING PERFECTION? Before the construction of powerful Pacifics and 4-6-0s by the ‘Big Four’, pre-Grouping 4-4-0s handled large swathes of passenger traffic. 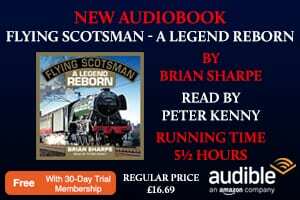 Keith Farr looks at performances of such locos under British Railways in the 1950s and ‘60s. 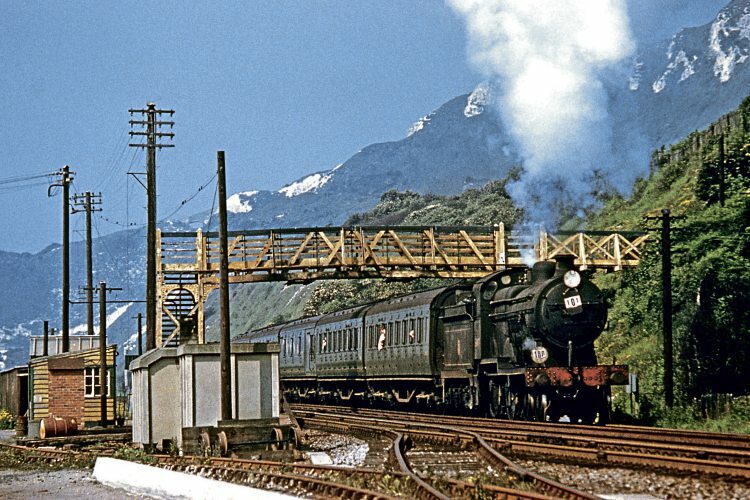 This year will see numerous articles about the end of regular BR standard-gauge steam working half-a-century ago. Many such contributions will focus on ‘Britannias’ and ‘Black Fives’, the final representatives of those almost ‘live’ machines that officially bowed out on August 5, 1968. Go back far enough and you will find inside-cylinder 4-4-0s of the Edwardian era, beautifully proportioned and with ‘fussy’ valve gear hidden from the observer: locos such as South Eastern & Chatham ‘Ds’; London & South Western ‘T9s’; Great Central ‘Directors’; and the sturdy North British ‘Glens’. ‘E1’ class 4-4-0 No. 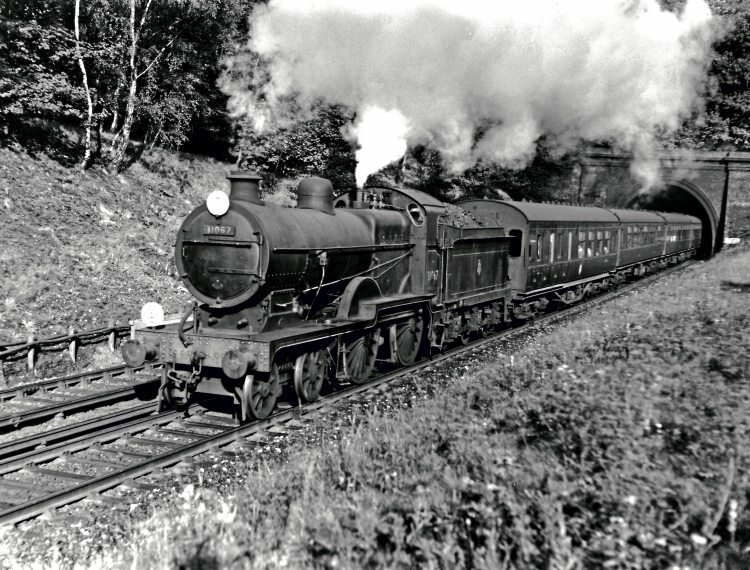 31497 passes Warren Halt, working towards Dover, in August 1959. COLOUR RAIL/DEREK CROSS (BRS214). All were long-lasting and, between 1957 and 1964, I was lucky enough to travel behind eight examples of inside-cylinder 4-4-0s, some of them over short distances and, regrettably, none of them logged. However, access to the Railway Performance Society’s electronic archive has revealed a wealth of information about those classes at work. It was south of the Thames the greatest variety of pre-Grouping 4-4-0s could be found active well into the BR era. old-stagers for secondary passenger work. 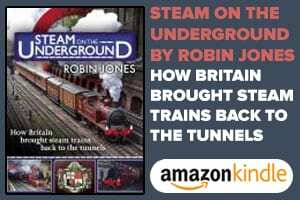 In Kent, for example, lines beyond Gillingham, Maidstone and Sevenoaks remained steam strongholds until electrification to the coast from 1959. The result was an assortment of Edwardian locos, at work beyond what we would now call their ‘sell-by date’. Following an afternoon’s ‘gricing’ at Tonbridge in 1957, I returned as far as Sevenoaks by the 6.01pm local train of ‘birdcage’ stock behind a former SE&CR ‘L’ class 4-4-0, before continuing to Charing Cross with a ‘Schools’ working up from Hastings. 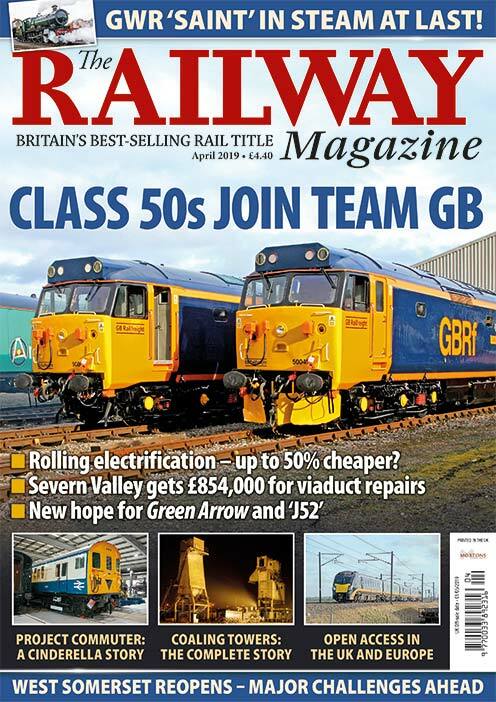 The ‘Schools’, although themselves 4-4-0s, were in a different category from those we are discussing and were featured in The Railway Magazine for February 2005. It was in 1913 R E L Maunsell left his post at Inchicore Works, Dublin, to become locomotive superintendent of the SE&CR, where he set about procuring more powerful locos than the ‘D’ and ‘E’ class 4-4-0s of his predecessor, Harry Wainwright. On the eve of war, Ashford works was preoccupied, and Maunsell had to resort to external manufacturers, ordering 10 new 4-4-0s from Borsig of Berlin, and 12 from Beyer Peacock. The loco parts from Germany were assembled at Ashford, partly by Borsig staff, despite the outbreak of war with their country. Ironically, the ‘L’ class 4-4-0s they were helping to construct would take British troops as far as Dover to fight their countrymen and to bring back German prisoners of war.